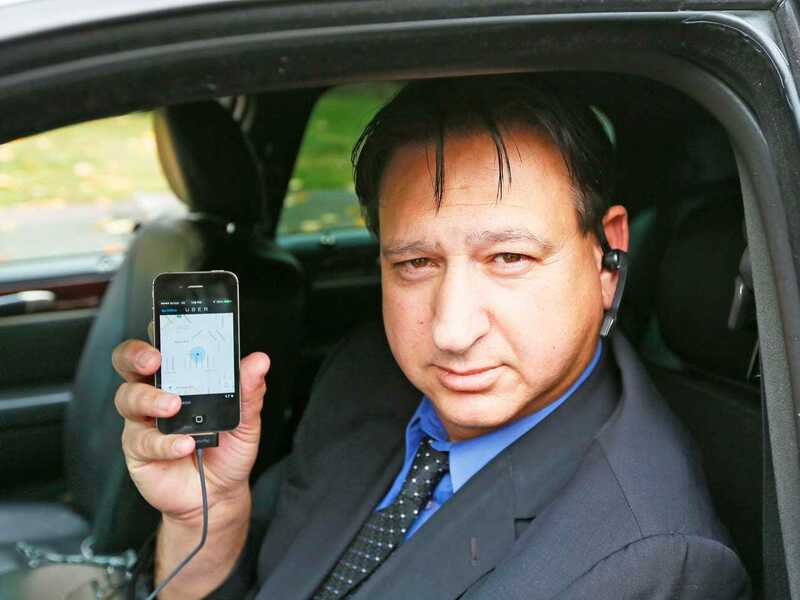 Lucy Nicholson/ReutersLimousine driver Shuki Zanna, 49, holds up his iPhone displaying transportation app Uber as he waits for customers in Beverly Hills, California, December 19, 2013. When you take a ride in an Uber vehicle, the first things you’ll notice when you request a ride on the app are your driver’s name, the make and model of your Uber ride, and your driver’s rating out of five stars. Uber’s rating system goes both ways — after a ride, passengers rate their experience with their drivers, and drivers do the same with passengers. In an interview with San Francisco magazine, Uber’s CEO Travis Kalanick admitted that not even he has a perfect 5-star rating as a passenger. Customers can see an Uber driver’s rating when they use the app, but don’t know their own rating, usually. Earlier this summer a hack was exposed that let you view your own Uber passenger rating, but it was quickly shut down by the company. You can read the full story about Kalanick at San Francisco magazine’s website.